Eric MacKay supports the financing department during the acquisition, development and repositioning of IRG’s properties. His responsibilities include: monitoring and maintaining maturity reports; reviewing loan documents for extension options; analyzing properties; developing pro formas on new and existing properties; improving existing property analysis tools; furnishing information for potential and existing lenders to ensure continued compliance; and coordinating with IRG’s officers, directors, and attorneys regarding loan documents and other matters needed to close transactions. 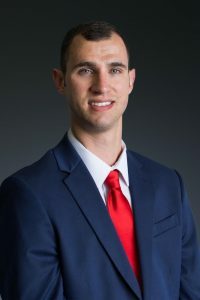 Mr. MacKay has a Bachelor’s Degree with a double major in Real Estate & Marketing, with a minor in Professional Selling & Sales Management from the University of Cincinnati’s Carl H. Lindner College of Business.